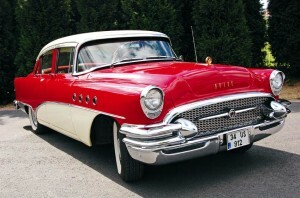 Our guests can feel some of the 1950′s nostalgia by experiencing the classic car ride on the streets of Istanbul. The tours lasting 1-2 hours in rare cars such as Desoto, Chevrolet, Buick and Dodge from these times will make an unforgettable experience. Our chaffeured classic cars can be arranged for airport transfers, transfer to / from hotel, dinner transfers or city tours.